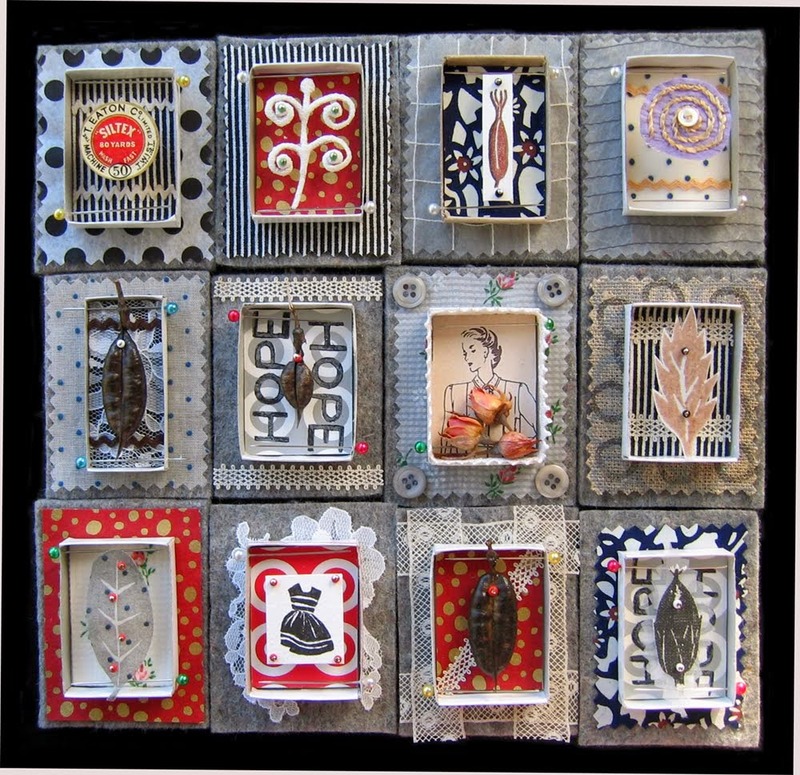 Pressing Matters, a series of 14 mixed media postcard works continues at the Gladstone until April 27th, in Hard Twist: This is Personal. 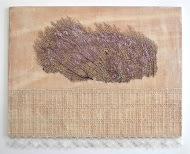 Plant Life, Pressing Matters #13, 2014. 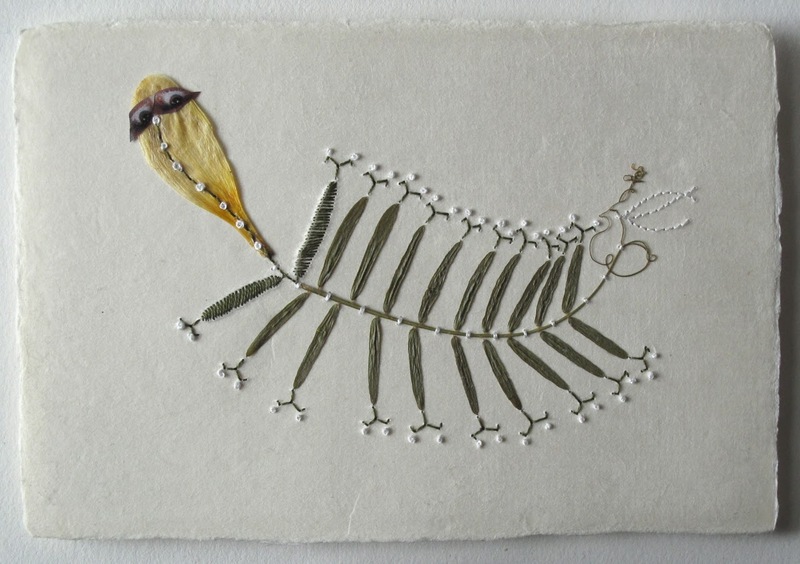 Valerie Knapp© Hand embroidery, DMC, pressed freesia and crown vetch, found eyes on Japanese hagaki. 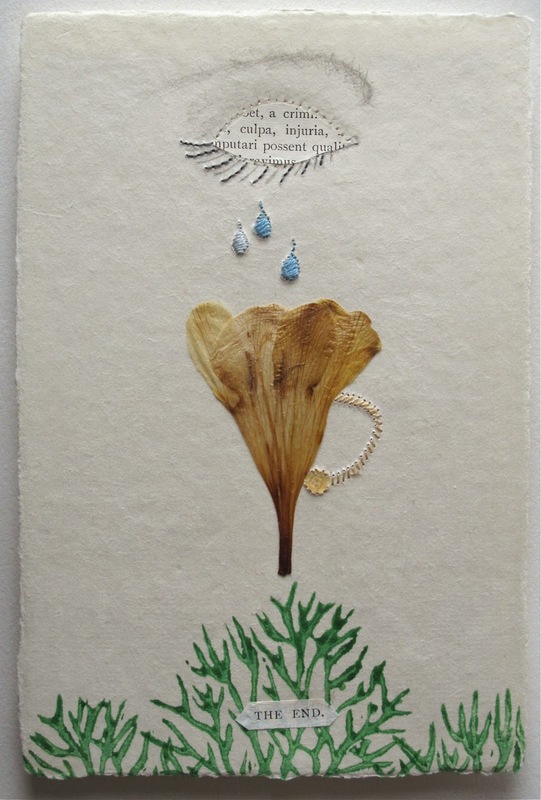 relief print, freesia, drawing, book clipping, on Japanese hagaki.